The actor: Early in a career that now spans more than four decades, a colleague told Bob Balaban, “As long as there are parts for people who look smart, you’re going to get work.” Whether he’s playing a New Yorker editor in Capote or a frustrated small-town musical director in Waiting For Guffman, intelligence—often frustrated, sometimes perverted—is a hallmark of Balaban’s work in front of the camera. (And behind it as well: His credits as a feature director include the morbid suburban-satire Parents, and he’s a frequent director for episodic TV, mostly recently on Nurse Jackie). His most recent part finds him front and center in Wes Anderson’s Moonrise Kingdom, as a local historian who doubles as the film’s onscreen narrator. The A.V. Club: You’ve said that every time you’re on a set, you shadow the directors and try to soak up as much as you can. What did you learn while working with Wes Anderson? 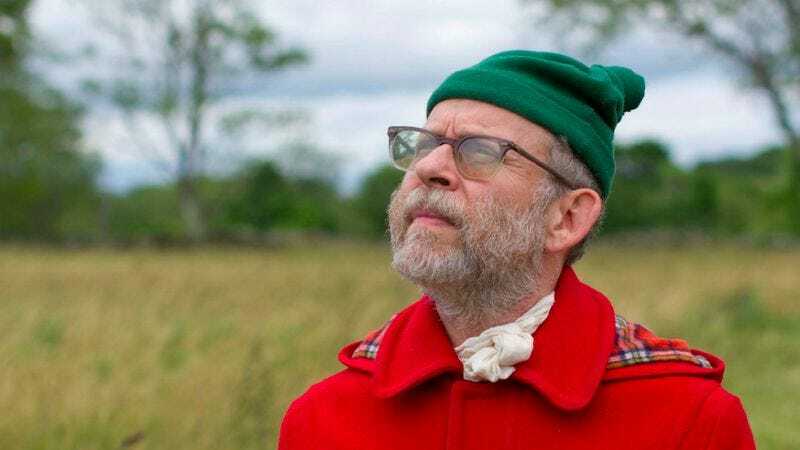 Bob Balaban: It’s a little different every time, and there’s always something to learn. In the beginning, you think it’s all about, “How did they decide to put the camera there? Have they designed the shots? Have they pre-cut this in their mind?” Things like that. And indeed, that’s certainly an important part of moviemaking. But ultimately when [you’re] in the hands of somebody who knows what they’re doing, who you like, and whose work you like, you come away from it realizing that your favorite people and your favorite experiences are really just because of who that person was and is. If you’re lucky, you’re working with directors whose work reflects their personality and their lives, whoever it is they really are. There are bunches of different kinds of movies, and there are some consummate movie directors who aren’t always putting themselves on the screen. But I happen to love auteur-directed movies. I love being part of a director’s vision when they’ve had a consistent vision for their career. That you’ve managed to fit into it is a very satisfying feeling. BB: As are his movies. AVC: Exactly. They’re the equivalent of a crisp pinstripe suit, or something along those lines. BB: Well, Georgia O’Keeffe was taught something—I don’t know why I’m launching into this—she said some instructor of hers told her this, and she used to tell it to her students: “Your life is your art as well as the thing you call your art.” If you’re a painter, the way you come home and arrange the objects on your shelves, that’s part of your life and part of your art. I think of that when I think of Wes. He is every inch the thing that Georgia O’Keeffe said. It’s in the movie; it’s in his personal life. You can’t just suddenly create yourself as this person who is the director. There’s just one you, and the more you can realize that and draw from that, I think it’s what we’re all trying to do. AVC: How does that work for an actor who is playing a small part in the enormous enterprise that is even a modestly budgeted movie? BB: I think that’s why it’s a hard thing to be an actor, in a way. Some of the best directors understand what the actor is going through, in a very visceral way, which is that actors are kind of… You’ve got to be careful with them. And then you also don’t have to be. I don’t mean actors who are prima donnas. I mean literally, the idea that somebody is coming out there to expose themselves for you, it’s a vulnerable position to be in, even it doesn’t look like it’s vulnerable. You could just be playing some sort of factotum in an office, but it’s still you. It’s very different from the other [art] forms in which nobody sees you, nobody experiences you. I think some of my favorite directors have an understanding of what actors are going through, how to help them, how to create an environment in which they’ll flourish. Wes certainly is high up there on a short list of wonderful directors I’ve worked with who… It’s corny, but they really do call them actors’ directors. Robert Altman appeared to be an actors’ director who wasn’t all that interested in technique, but of course he was tremendously interested in technique. He developed a whole new sound system, and it revolutionized movies, so he could listen to actors the way he wished they could be heard in movies. They’d never been heard that way before, with overlapping dialogue and wireless microphones and stuff like that. With Wes, you wouldn’t look at his movies and think, “Oh my God, how great he is with and for actors.” It’s quite true that the strength in Wes’ movies lies in his amazingly unique external vision of how things should be. But also internally, he’s just a magician with writing, and with knowing how to cast and how to deal with actors. He’s quite magical. AVC: He’s not the kind of director who works through the scene with the actors first and then moves the camera around them? AVC: There’s a succession of shots in the film where you’re positioned along the bottom edge of the frame, a technique that only works if you’re framed exactly the same in every shot. BB: Wes planned all that and showed me his various visual experiments before we began. It was a great way of him telling me, without ever saying, “Do what I’m doing, because I’m playing the narrator now.” All I could think was, “Oh, I see. I’m not supposed to act very much. I’m just supposed to say what’s going on.” He never had to tell me that; he just showed it to me. I don’t think he did it with any grand plan in mind, other than it’s nice for an actor to know where he is in the frame, because it informs you to know those things. But I learned a whole lot more from him. AVC: You’ve described Gosford Park, which you produced and conceived with Robert Altman, as being the most fulfilling experience of your career. BB: It was a high point, certainly. AVC: How long had you known Altman before you worked together? BB: Oh, I met him when I was 25 or 23 or something. AVC: Had you seen him at work before Gosford Park? BB: Yep. Because we were friends, and Robert was enormously inclusive. He loved having friends around while he was shooting. He loved inviting anybody he knew to dailies. A lot of directors are the opposite, but he happened to like a crowd. He also liked his frames to have a crowd. I hung around a bit when he was shooting The Player. I was friends with Tim Robbins and knew a lot of people involved in that. And I did come by and had a great time watching it. [Altman] was just very implicit, so I loved that. I also did a documentary about him. I think it was called Directors On Directors; it was a series for Showtime. He was doing The Gingerbread Man with Kenneth Branagh on location in Savannah, Georgia. I went down for it; it was really only a day, but we spent an incredibly long, fun, complicated day together, beginning with him getting up in the morning, doing some location scouting, then an afternoon of shooting way into the evening, then hanging out in his trailer with Katherine, his wife, and me. We just had a great time. It was great fun. AVC: In your diaries from the making of Close Encounters [recently republished as Spielberg, Truffaut & Me], you write about a moment on the “Big Set” in Mobile, Alabama. You’re being driven through this enormous warehouse, and you think, “Oh, right. We’re not just being paid to wait around and eat meals in airplane hangars.” Was that the biggest production you’ve worked on? BB: I was in three. I lump them all together because they were all supernatural. They weren’t as successful as Close Encounters. I was in Altered States, which took nine months, and I was in 2010, the sequel to 2001: A Space Odyssey; it was another nine-month event. All of them were very, very slow because there were all these special effects. You’d look at a page or two of the script, and that could be three weeks of work. AVC: How do you deliver emotional credibility amid such a massive undertaking? BB: That’s the secret of the whole thing, and I don’t know that there’s any one good answer. Some people are much better at it than others. If you have any tendency to do drugs and drink, there’s nothing like hanging around for 15 hours and working for three minutes. If you have bad habits, they’re multiplied a billion times. You’re being paid, they’re bringing you free things, you don’t have any responsibilities. Then you go home, and you have a real life. It’s very tricky for a lot of people. Not me, because mostly I don’t work for 10 months on a movie. But I did a bunch of times, and it’s tricky. I just love Helen Mirren. She’s brilliant, wonderful, and a fabulous person. We were in 2010 together. She was a Russian cosmonaut, and I was the inventor of HAL, the computer, and we spent a lot of time working together. At one point, evidently, I gave her some advice. The idea that I would give someone that talented advice they would actually listen to is shocking. But I had been used to it, because I had already done Close Encounters and Altered States. She was saying, “How do you do all that blue-screen acting? How do you sustain it? Do you have any advice?” And I said, “I think ultimately the only advice is: Do it, and then never think about it afterward. You can eat yourself alive looking back at what you did yesterday on your blue-screen, because it’s just so easy to overthink it. You just can’t think about it. Just do it as it comes up, do your best, then totally let go of it.” Which is not exactly a revolutionary thing to say. AVC: There’s a part in Close Encounters where you have to convey the emotion of being one of the first humans to see an alien spaceship land. You write that people on the set referred to it as “the ———— scene,” where the dash represents someone looking up at the sky and moving their head from left to right. BB: Steven [Spielberg] was very helpful with that, because he would talk to you, like in a silent movie. There’s a scene with Melinda Dillon where she has to see the mothership appear, and she didn’t even know it was going to be a mothership. She was just looking for her lost son and doesn’t know what’s happening. Steven literally would stand behind the camera and say, “Okay, so you see a light, now it’s kind of coming out, then you think maybe it’s an explosion, you’re not sure what, then it gets bigger…” And he talked her through the entire thing. If the right director does that in the right way, it’s just amazing. It’s like the whole history of silent movies, because directors never shut up in silent movies. They don’t get to do it that much in talking movies, but Steven was just the master. He didn’t have the acting background that so many other great directors have—Sidney Lumet, Sydney Pollack, and a number of other directors came from theater, or they were actors, and they had a lot of acting tricks in their bag of tricks. But Steven only had himself to draw on, and the results of a lot of great performances, because he knew every performance in every movie ever made. Steven proved to me that you don’t have to be a wizard of training in order to be great; he’s just great with people, and he’s great with actors. It’s not because he studied it, necessarily. He just knew it. It’s also why I think anybody who’s great with children tends to be a pretty good director. AVC: Speaking of great directors, your role in Close Encounters was as translator to the scientist played by François Truffaut, and the sense from your diaries is that you played a similar role offscreen. BB: It was so much fun. You can only imagine [having] one of your favorite directors be absolutely dependent on you for eight months of shooting. I could speak fairly good French, and he really didn’t like to speak English. He would bring me scripts, I would translate them, and we would have discussions afterward. He didn’t like reading the scripts in English, so I would read them and describe to him what it was, and what was going on. It was great. Truffaut was great with kids, also. At one point—I’m sure I’ve said this in my book, and three or four thousand times already—Truffaut said for him there were literally two things that interested him in all of his movies. That was it. He said life was short—how prescient he was, because he died eight years later. But he said, “I’m never going to have enough time to make all of the movies I want. So I can only make movies about men and women and their relationships, and children and their relationships. That’s it, that’s all that interests me.” That’s everything in the world, but it also rules out a huge amount of things. It mostly rules out anything mechanical. At one point, he was asked to direct Bobby Deerfield, I think. He said, “Too much ‘vroom vroom.’” What he really meant was it wasn’t about men and women falling in love, or children. AVC: He might have learned that lesson from the difficulty he had making Fahrenheit 451. BB: Yes, he learned a huge lesson from that, that’s true. AVC: Waiting For Guffman wasn’t the first movie Christopher Guest directed, but it was the first to employ the mostly improvisational style he developed as a performer in This Is Spinal Tap. Did you know what the process was going to be like? BB: Well, Guffman was the first for me. I didn’t remember it at the time, but even Ed Begley had been in Spinal Tap. So many of them were in it, not just the three leads. But for me, this was the first time. I had worked with Christopher Guest in a movie that my friend Claudia Weill directed called Girlfriends, sort of a precursor to all-American independent movies. Christopher was one of the boyfriends of the first girlfriend, and I was the boyfriend of the second girlfriend. So we hung around; we got to be friends. I really enjoyed him, as I always do. At the end of the movie, I had to ride off, and Christopher had a motorcycle, and he convinced me I had to hop on the back of his motorcycle for my getaway. You wouldn’t know it from seeing him in his movies, but Christopher’s really a jock. He’s a black belt in karate, and he rode motorcycles; he was unbelievably capable. Everything that I am not, he is: We vaguely seem like we come from the same stock, but we don’t at all. So I trusted him enough to hop on the back of his motorcycle, and I was really scared. I’m like Woody Allen chicken. I think I hide it, but I actually don’t. And so here I am, 20 years later, hopping on another motorcycle with him for these movies. When he called and asked about Waiting For Guffman, I was very excited, but I didn’t know what it would be like. It turned out to be—all of the movies are, but the first one especially… I just couldn’t believe how exciting, how fun the feeling of going to work and [thinking], “Oh my God, I don’t have to plan anything. I just have to be here.” It’s my dream, and it’s really the thing I most look forward to doing. I studied improvisation in high school. I wandered into Second City when I was 15 or 16 years old, and this woman named Viola Spolin—the mother of improvisational theater; basically, she invented theater games—she was the instructor for the adolescents. And I never got over what it was like. AVC: Most improvised movies are built out of rehearsals and then formalized as a script before the cameras roll. It’s incredibly rare that the performers actually just make things up in front of the camera. BB: The Larry David show is an improvised thing, but the outline is very thoroughly done, which you have to do with television. You couldn’t possibly really improvise a television series, which I’ve tried a few times. I’ve done pilots, one for NBC and one for Fox, and it’s kind of a disaster, because the Zen of the whole thing that Christopher does gives you real freedom. You know these scenes have to happen, but anything goes. He’s fine if you’re not funny for two days in a row; you don’t get fired if you’re not funny, and amazingly great things do sometimes happen. But it doesn’t always come up. It’s fairly mystical when it happens, and it’s about learning how to leave yourself alone. Inside of you is something that’s trying to be in charge, and we prevent that from happening by intellectualizing it away. When this stuff is going well, it is all about the freedom to absolutely not have to do anything. AVC: There’s an amazing moment in Best In Show where Parker Posey’s character explodes at the hotel manager, and she says, “You… hotel manager!” That’s not even a joke, exactly. It seems like a line that could only come out of improvisation. BB: You never know. Every once in a while, you find out that something in one of Chris’ movies is something that stuck from the outline. But mostly, the outline is really meant to be the smallest amount of things he can say so that he can eventually put a movie together out of it. BB: I really like Night [Shyamalan]. I think he’s so talented and so smart and such a good writer, but people didn’t take it well that he had the movie-critic character eaten by the monster at the end of the movie. The critics were like, “How dare you have a critic eaten by a monster at the end of the movie?” I never thought twice about it. I just thought, “Well, it’s funny that a movie director has this thing where critics are being eaten. How subconscious and conscious is that? That’s kind of fun.” But it did seem to disturb people. People seemed to like it on television. I’m not sure what that means exactly, but I think it means maybe there’s a burden on movies when you pay money and get a babysitter or something. I enjoyed the movie, and I had a great time being in it. I loved working with Paul Giamatti. I think Night has a lot of amazing things to do in the future that I hope to see. I think he can do anything. BB: Well, I wasn’t really playing [New Yorker editor] William Shawn; we must remember that. I called Wally [Wallace Shawn, William’s son] when I got the movie, and I said, “Will this disturb you?” I told him about it, and he said, “No, it won’t disturb me, because my father wasn’t like that.” He never went on an airplane. He didn’t go visit people when they were working, and there was really nothing about it that was William Shawn. And I got to work with Phil Hoffman and a director I liked a lot. AVC: You’ve known Wallace Shawn for a long time. Did you know his father? AVC: Speaking of which, you ended up in the filmed version of Marie And Bruce, albeit in a different role. BB: Yes, but nobody saw that movie. AVC: It’s out on DVD now, but it was almost impossible to find for years. BB: Well, they never released it because there was a huge legal struggle of some kind. Also, I don’t think anybody wanted to see it. AVC: It’s not the most heartwarming story ever committed to celluloid. BB: Well, some things should be plays, and they really shouldn’t be movies. I thought Julianne Moore was really great in the movie, and so was Matthew [Broderick], actually. And I had fun being whatever I was in the movie, with my strange wig. But some things are theatrical experiences, and to me, Marie And Bruce is “The Love Song Of J. Alfred Prufrock.” It’s a poem. It’s a long, complicated urban poem. And I think you can accept poetry in theater in a way you can’t really do in a movie. AVC: How did not playing William Shawn in Capote compare with not playing NBC head Warren Littlefield on Seinfeld? BB: I knew Warren well. Or fairly well, anyway. My wife and I had written a television pilot with him as a producer, so it was so many different sides of the same thing. There, he was the producer, and we were the writers, and then I played him in The Late Shift, the HBO movie about Jay Leno and the television wars between Leno and Letterman. For that, I also went to Warren and said, “If this bothers you, I won’t do it.” And he said, “No, it’s pretty accurate.” I don’t think he liked the part where I was sitting on the toilet with my pants down, but I can’t worry about that too much. I did study him a little bit. I spent a day in his office, because I knew him to work with him, but I’d never really experienced him at NBC as the head of a network. I sat in on a lot of his meetings. Oddly enough, I do the audiobook for his new book, Top Of The Rock, and it was really a good book, I was quite entertained by it. Then I ended up playing him on Seinfeld. Of course, that was Russell Dalrymple; that wasn’t technically Warren. And he was head of the network at the time, so Warren Littlefield has been in the center of my consciousness sporadically for the last 25 years. AVC: When they sent you the part for Seinfeld, did they know that you had a personal connection to Warren Littlefield? BB: I learned so much watching Sidney [Lumet], and after it was over, I asked if I could apprentice myself to him and hang out for four months on his next movie, which was Deathtrap. I learned a tremendous amount. Because of that experience, my wife wrote a short film that I directed and produced, and I sort of bifurcated my life. It’s when I officially started doing things other than being an actor, thank God, and it helped my acting career tremendously, but it also helped the rest of my life along. AVC: Was that the special-effects film? BB: “SPFX 1140,” it was called. Yes, and Wally Shawn was in it, as was Richard Dreyfuss and Mandy Patinkin. AVC: What did you learn from working with Lumet and watching him work? BB: The big surprise for me with Sidney was, having been in Prince Of The City, I thought he only paid attention to the actors. That’s all that mattered to him. He made you feel as though you were being coddled, nurtured, pushed, pulled. Everything was for your performance, and it made you feel amazed all the time. As soon as I started observing him, I became aware that everybody in every position felt that about Sidney. The grips felt it, the electrics felt it; the DP [director of photography] felt that this was only a movie about the DP and Sidney. He had that amazing quality that sometimes people have who are such masters of their craft and have the judgment, creativity, sensitivity, sensibility to be a great director. It’s an amazing magic trick that they do all the time, making you think they’re one thing when they’re doing another thing. And I learned so many practical things from Sidney. I listened to every word he said, and he went out of his way to explain stuff to me. How do you speak to an actor? Any way they want. If an actor went to study with Stanislavski, talk to him about sense-memory work. If the actor comes from Uta Hagen, use that vocabulary. Anything you have to do. They’re all different. Sidney loved to rehearse, so we had four weeks of rehearsals on these movies. They were put on like plays at the end, and you just photographed the play. BB: Sydney Pollack came upon us running some lines one day. He said, “Save it for the camera, make a mistake on film. I don’t want you to be all used up by the time you get to doing it.” So there are all sorts of ways to get it right. Al Pacino was going to play Paul Newman’s part in the beginning. And I guess I’d come up with some kind of character that vaguely trod on Al Pacino’s way of talking. I can’t remember it too well, all I know is I had this sort of accent in mind. I thought it was my idea of a Brooklyn accent, but it was probably Chicago. I’m a little embarrassed when I say it now. BB: I did two episodes, me and Gordon Liddy, who I came to love and admire and enjoy, surprisingly. Because we can’t say that everybody has to have our own political beliefs—God forbid, how narrow-minded would that be? I respected him tremendously. I thought he came by his beliefs and his affiliations very honestly. He was following some very strong feelings, and this was not just for expediency that he decided to have these points of view. So I really liked him. He killed me in the second episode. The first episode was directed by Don [Johnson]. The first one was really well-written. It was written by a friend, a really successful journalist. I had fun, but it was very excessive. I did one episode where we started in September, and we were still reshooting bits of it into Thanksgiving, at which point they have to pay you continuously. By the end of it, I’d made like $50,000, and in those days in television as an episodic person, that was a fairly large amount of money. In the end, they said, “We just want to do one more thing,” like the night before Thanksgiving. And I said, “Well, I have a family. We’re home.” “We’ll send your whole family, we’ll put you up, pay for dinner, we’ll take care of everything, just come down for Thanksgiving.” Well, sometimes excess can be good. BB: Oh my God. Me as a radical student is like having Woody Allen being the head of the Symbionese Liberation Army. AVC: Was the movie a big deal at the time? The book, which chronicled the student protests at Columbia University, certainly was. BB: Stu Hagmann, who directed it, is a brilliant television director. He directed commercials; he’s very smart, and he’s a good director. Somebody told me at the time that there was this wave in Hollywood of trying to find young directors because they thought it would help them connect with young audiences. And it didn’t. It didn’t matter. It doesn’t matter how old a director is. It’s ridiculous. But I know they made that movie because they thought it would really grab the youth, because there was a youth movement. But what they always fail to think about is, the youth will actually care about the honesty in the movie: What’s it about? Is it directed by somebody who understands that world? Was it written by people who came from that? I ran into [James] Kunen, who wrote the book, three years ago, and we reminisced a little bit about how silly it was. He was a very important guy in the political movement, in a period when students were so involved—at least they were at Columbia. It was really an important part of history, and he played an important part of it, and it was just reduced to some executive’s idea with a flick of a pen as to what would attract an audience, which is odd. I was horrendously terrible in the movie, and that’s my fault. BB: Well, they had a rule. Somebody had to be under 30 to direct a movie. AVC: A lot of really bad movies and some really great ones got through the gate that way. BB: You just don’t know. I’m glad I don’t run a studio, because who knows what’s going to be good?